KTVA’s vision was to create an amazing mobile app experience to further differentiate their news offerings from the competition. To accomplish this, they embarked on a journey to create a custom mobile app product that truly matched the various news feeds and features that their consumer customer base was looking for – while leveraging the investments that they had already made in the backend news database. KTVA selected Red Foundry as their mobile development partner based on our deep mobile app expertise and proven ability to help clients “mobilize their business”. 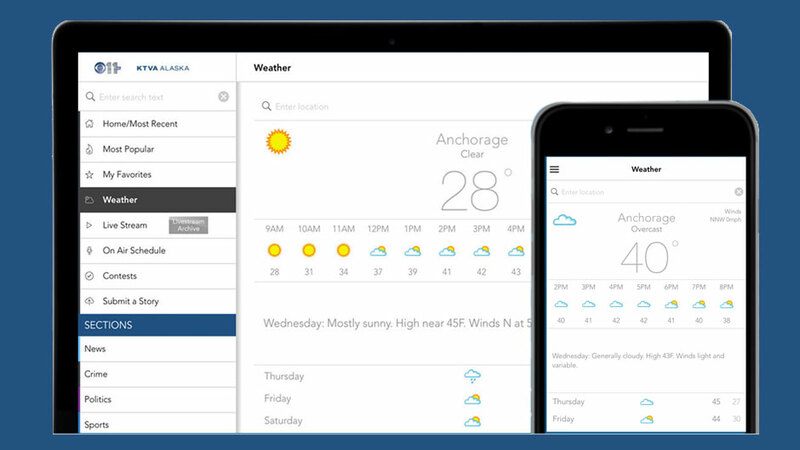 From initial UI/UX and technical design through app development, testing, launch, and AppCare maintenance, Red Foundry has helped KTVA turn their vision into reality and become a leading provider of mobile news for Alaska. 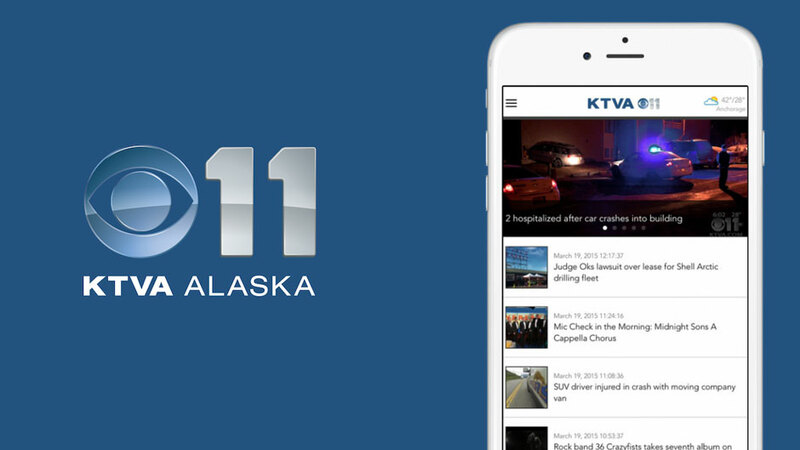 The KTVA mobile app allows users to follow the day’s biggest news stories beyond the broadcast. Users receive breaking news alerts, weather forecasts, and KTVA newscasts anywhere/anytime LIVE from their mobile device. Users can share their favorite news stories via email or social media, or save them in the app. Not only does the KTVA app help users consume the news, it empowers them to contribute to the news. When breaking news happens, users can submit photos and video from the scene. Visit the KTVA News Website to learn more.